CBD Guru manufactures the highest quality,pharmacist formulated CBD products on the market. CBD Guru focuses on quality control to ensure that all of our products are held to the highest standards and tested regularly for consistency,potency and purity. CBD (cannabidiol) is an active substance found in hemp oil, which is extracted from the leaves and flowers of the plant. It is non-psychoactive and the content of THC is tested on every batch to meet the requirement of less than 1mg per bottle. 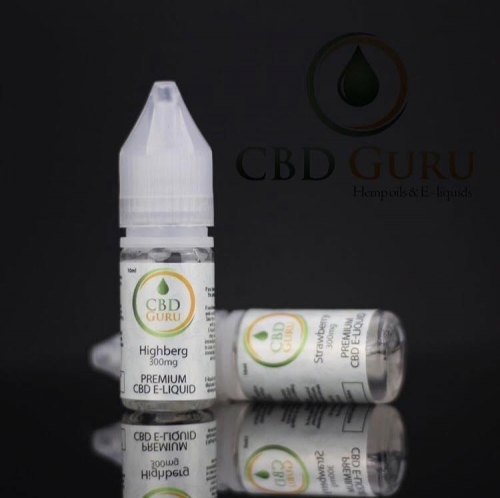 Our CBD vape Oil 100,200 or 300mg has a sweet, berry taste that lingers long after the last exhale. Containing 100mg of the CBD compound extracted from specific hemp strains, then transformed into an E Liquid making it vaporisable with any e-cig device.